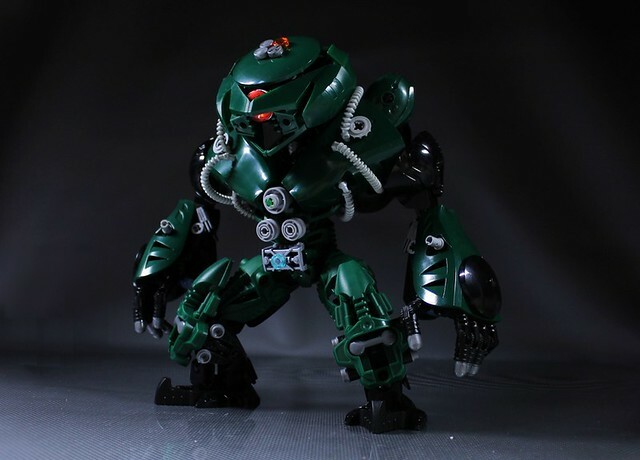 This MOC by Moko is really cool, but not as cool as the presentation of it. It was a risky move shooting a dark green and black MOC against a very dark background, but this is how it's done. What makes it work is careful lighting. It's the reflections and specular highlights that you're mostly looking at here, and that's the secret of dark model photography. Beautifully done.